The women who are fertile and who do not want to stay pregnant usually take certain precautions and use some contraceptive method. While the condoms are the most effective male contraceptive method, the birth control pills are the most common and widely used female contraceptive method. The contraceptive pills contain certain synthetic hormones, which do not allow the ovaries to let the egg and without a mature egg the conception cannot be achieved. However, if the egg is fertilized after all, the pill does not stop to act, but it thickens the cervix and makes the wall of the uterus thinner so that the embryo cannot successfully implant itself in the endometrium. Who should not take Mircette? However, Mircette should not be used by women who have recently conceived pregnancy. Furthermore, the women who have recently got a baby should also avoid using Mircette. The women who have problems with cardiovascular system, such as problems with blood clotting or hypertension, should not take this contraceptive pill. Furthermore, Mircette should be avoided by women who suffer from some liver or kidney disease, frequent headaches and heavy vaginal bleeding, as well as from jaundice. For those women who take this contraceptive pill for the first time, it is recommended to use some additional contraceptive method in the beginning. As any other drug, Mircette has several adverse effects. It increases the chances of developing some cardiovascular disease, such as heart stroke or blood clots, particularly in the women who are above 35 years of age. Many medicines can interfere with this contraceptive pill and its effectiveness can be significantly reduced when certain medicines are used along with it. It is very important to take this pill as the doctor prescribes. The pack of Mircette consists of 28 pills and while 21 pills are active, the remaining 7 are not. 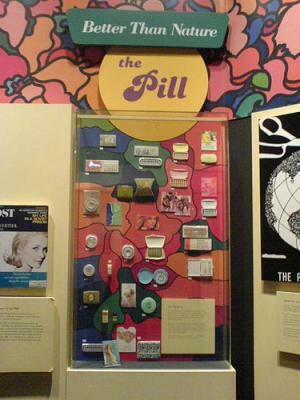 The first pill should be used on the first day of the menstruation. One pill of Mircette is used per day and it is advisable to take it always at the same time because the effectiveness of the pill will be reduced if the time between the two pills is more than 24 hours. Some women will notice so-called breakthrough bleeding in the first three months of taking Mircette, and they should know that it is not uncommon, but if the bleeding prolongs and if it becomes heavy, it is recommend to inform the doctor about it.